The last victim of billionaire kidnapper, Evans, just before his arrest by security operatives in Lagos State, has made some unbelievable revelation today in court. 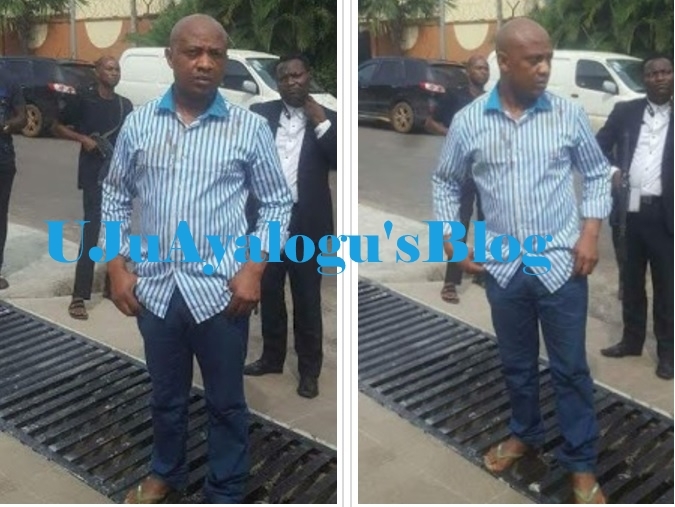 Speaking while giving evidence before an Ikeja Special Offences Court in Lagos on Friday, Donatus Dunu, who is one of the victims of billionaire kidnapper, Chukwudumeme Onwuamadike, popularly known as Evans, told a Lagos judge how his family received 50 per cent discount on ransom from his abductors last year. He said that the billionaire's insistence on receiving the ransom in euros made it difficult for his family to raise the money. He said; “Evans asked for my brother’s phone number and I gave him. They called my brother Anselm Dunu that I should tell him my bill is €1 million through a conference call. They were beating me that I should say that I have agreed that I will pay €1 million and I told my brother.